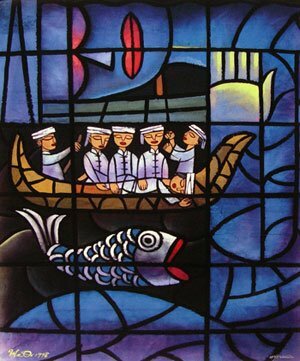 Today we’ll look at the contrast of character between Jonah and the “pagan” boat crew. The first contrast comes in the form of “fear.” When the sailors cast lots to see who was responsible for this great storm and the lot fell on Jonah, they asked him who he was. He replied, “I am a Hebrew, and I fear (yare) YHWH.” But does he really? He has just run away from YHWH and has disobeyed him.  But the sailors, on the other hand, go through a “conversion experience” so to speak here in the first chapter of Jonah. When the storm first came about the sailors became afraid (yare) and each one cried to their own god. Secondly, after Jonah tells the men that he is running away from YHWH, the one who made the heavens and the earth, they become “extremely afraid” (yare). Then, to complete the conversion experience, in verse 16, after they have thrown Jonah overboard and the sea stops its raging, they “fear YHWH greatly” (yare), so much that they offer sacrifices and make vows. Oh the irony, the true “prophet of God” who is a “fearer of YHWH” doesn’t fear him at all. Instead we have a whole boat full of pagans who see God for who he really is. They are appropriately afraid of the storm, then they become extremely afraid when they find out Jonah is running from “YHWH, the one who made the heavens and earth.” You ran away from who? That God? Are you crazy? Then finally, when the storm suddenly stops, the pagan sailors become true God-fearers, ironically unlike Jonah. Who is the true follower of God in this story?